Turning Vision Into Action: Common Core Mathematics in a PLC!! Common Core Mathematics in a PLC!! Those of you that have faithfully followed my attempts at blogging my ideas over the past two years know that I am passionate about mathematics education and issues of equity – as viewed through the lens of school leadership and Professional Learning Communities. As highly effective PLC’s become the norm and the culture for the ongoing school embedded professional development in your school, they will provide the vehicle for delivering the successful implementation of the Common Core. To that end, over the past year, I have been able to engage with thirteen mathematics education thought leaders/authors and more than 31 well respected reviewers to write, design and author a five book professional development series (which has taken away from some of my dedicated time to this blog over the past year). The series is designed to help every school district and school based professional learning community collaborative team to successfully focus and implement the necessary mathematics instruction and assessment that will prepare every child for the Common Core expectations and assessments that are only a short three years away – this month. The five book series – published by Solution Tree and co-published with NCTM, is built upon a theme of five fundamental paradigm shifts essential to a successful local launch into the Common Core for Mathematics in your school. You can read more about those paradigm shifts by downloading the summary from my most recent session at the Solution Tree Common Core and Assessment Summit this past week in Las Vegas. middle school, so these two books, help to establish together the new expectations for elementary school teachers and programs. Led by Matt Larson, the authors for these two books in the series also include Skip Fennell, Juli Dixon, Thomasenia Lott Adams, Beth Kobett, and Jon Wray. You can learn more about these books, the online resources, etc. by clicking on the book covers to the right. The high school, grades 9-12 book will be released by May 5th, the School Leadership book by June 15th and the middle school, grades 6-8 book by early October. I will detail more information about these books as they are launched as well. 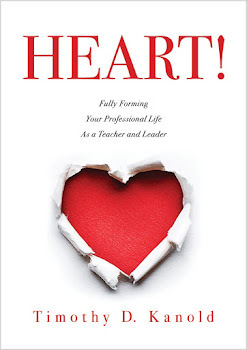 For the most part, our work began last May, as early drafts of our effort to design professional development books that would be helpful to the reader (the teacher in the case of the grade level books, and school administrators, and mathematics leaders in the case of the leadership book) were written. Each book went through a national review, and more than 30+ drafts, as they began an extensive 10 month development process. I cannot thank the authors and reviewers enough for their time, dedication and effort to provide deep research affirmed guidance that can and should focus the work of your on site PLC teams over the next few years. 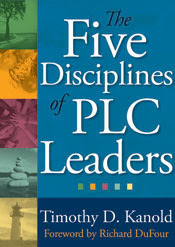 Perhaps the greatest compliment our series has received thus far, comes from the Foreword by Doug Reeves that will be in the Common Core Mathematics in a PLC at Work™, Leader’s Guide book for the series. Perhaps the most notable feature of this book is not merely the competence of the content, but the underlying spirit of commitment to equity that pervades every page. The authors understand that we cannot outsource mathematical proficiency as we have outsourced manufacturing, for to do so would be to outsource our responsibility as educators and as citizens. Their most inspiring guidance is contained in the pages that confront the issue every teacher has faced: What do we do when students don’t get it? How do we respond to failure? In too many schools, the response to failure in mathematics has been the acquiescence to failure, leading to the re-segregation of schools to a level not seen since Brown v. Board of Education of Topeka. If we are to confront this challenge, then we must heed the counsel that [the authors] offer. Our response to failure cannot be a continuation of divergent opportunities based on student background, but rather a commitment to equity that will prepare our students to think critically and lead boldly. The intent of this book series is to support your CCSS mathematics teacher and leader work for equity, and to focus the work, time, and effort of your mathematics programs and collaborative teams on high-impact actions for improving student learning. As a teacher and leader of effective collaborative teams (grade level or course based), you can make great decisions about teaching, learning, assessing and responding to learning that will impact student mathematics achievement. As Jim Collins (2011) indicates in Great by Choice, you may not be able to predict the future, but you and your team can create it. Your professional development goal should be to help every teacher and administrator make great decisions toward a great mathematics future for our students— every year, every unit, every day. We hope that our professional development guides will support that great future. I'm sorry to hear the middle school book won't be released until October. I would have loved to add it to my summer reading list!